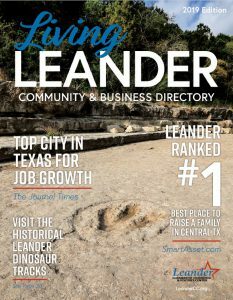 The MetroRail offers comfortable and reliable passenger service between the City of Leander and downtown Austin, and from Lakeline to downtown on Saturday. There are a variety of convenient stations and Park & Ride facilities, in addition to many MetroBus coordinated routes to make taking the train fun and easy! Whether you’re commuting to work, heading to school, seeing the sights or just out for a night on the town, MetroRail can take you there. 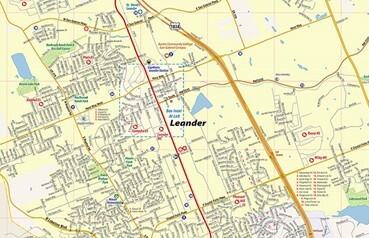 The Leander Station is the northernmost stop along the entire MetroRail line and includes a Park & Ride with 600 spaces. The Red Line runs on 32 miles of existing freight tracks between the City of Leander and the Convention Center in Downtown Austin. Ticket vending machines are located at all nine stations. Tickets and passes may also be purchased from the Capital Metro Transit Store at 323 Congress Ave.
183-A Tollway is an 11.6-mile toll road that provides a quick route to downtown Austin. It is rapidly expanding northward. Follow this link for purchase or more information on a Toll Road Tag (TxTag). Austin-Bergstrom International Airport (ABIA) is roughly 45 minutes south-southeast and Georgetown Airport is 10 minutes due east.